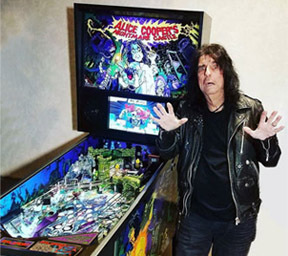 Alice Cooper's "Nightmare Castle" Pinball Machine Has Arrived! 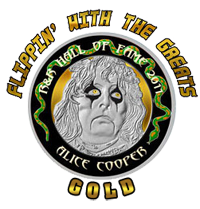 IS NOW AVAILABLE EXCLUSIVELY through "FLIPPIN' WITH THE GREATS"
AND YOU CAN ONLY GET IT HERE! 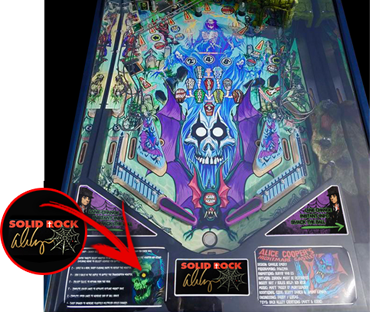 Each Solid Rock limited-edition Nightmare Castle Pinball machine will be personally autographed by Alice himself. 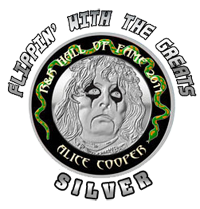 A portion of the proceeds from the sale of each pinball will go directly to Alice Cooper Solid Rock Teen Center. The Solid Rock Teen Center inspires teens to grow through music, dance and art. Alice provides vocational training in sound and recording, lighting and staging, video production, as well as a computer lab in a cool supervised facility for the teens to engage with their peers. Over 700 Custom speech calls by Alice himself! Fantastic art package by Zornow Must Be Destroyed! Created from Alice's myriad of stage props, including (of course) his Guillotine! Three Different Editions to Choose From! 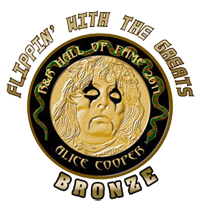 The Alice Cooper AUTOGRAPHED Solid Rock Edition ACNC includes the following Custom Features, sure to make each game a highly coveted collector item! "Butter" cabinet (no decal) Hand dipped in rich colored ink, rolled with automotive clear coat and buffed to "shiny perfection"! Autographed Nightmare Castle back glass "translite" – suitable for framing! 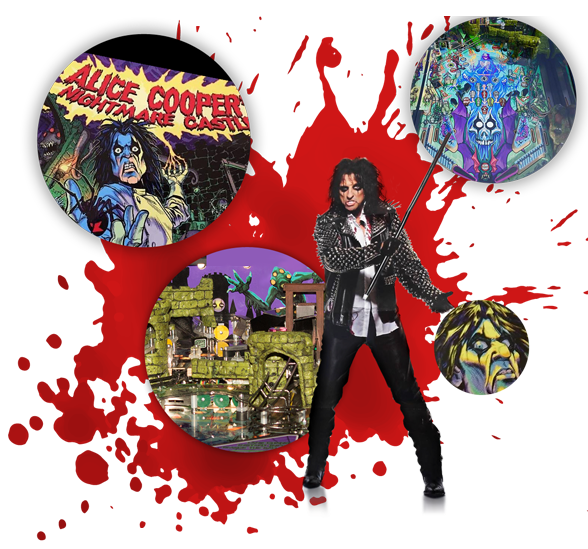 This Limited-Edition Alice Cooper pinball machine is available for ordering TODAY. Reserve yours now for priority production! These pinballs are very limited-edition machines and are only produced and autographed specifically for you upon receipt of your order. Machines will be produced on a first come - first built basis so get your order in as soon as possible. A deposit of $2,500 is required to order and build your machine. The balance will be due two weeks before your game ships. You will be notified in advance when Nightmare Castle is nearing completion. Select which the model you would like to have built for yourself. A $2,500 deposit is required to order and build your machine. Click the "Order Now" button on this page and fill out the email form or call us at 612-999-3984. We'll notify you when your machine is nearing completion. You will then be required to pay the balance in full. Please allow 2-6 weeks for delivery. Shipping and applicable state sales tax are extra. FOB Benton, Wisconsin. Warranty coverage provided by Spooky Pinball, LLC. This Game Fan Package is certain to make this a great investment while providing years of entertainment! Copyright © 2018. 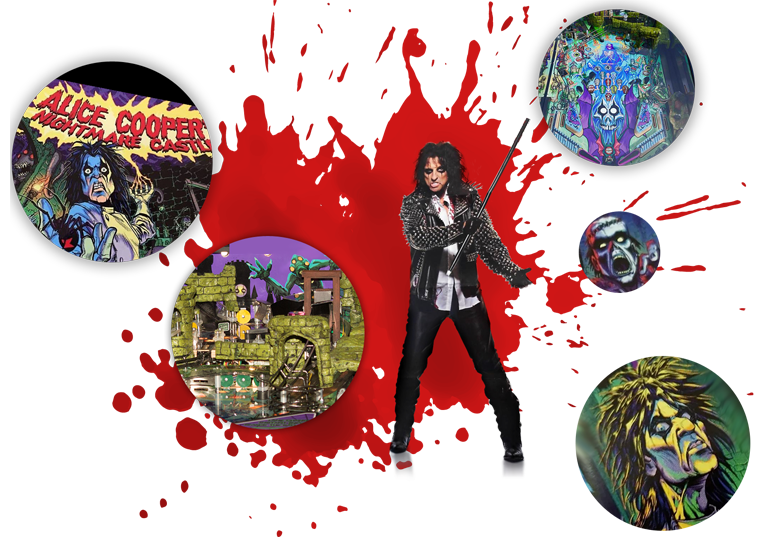 Alice Cooper + Flipping with the Greats + Performance Loyalty Group, Inc.
Alice Cooper's Nightmare Castle is a Fast Action Classic Horror Pinball Game narrated by Alice himself. Submit your order NOW. Only a very limited number of Alice Autographed Pinballs will be made. Order now to secure priority in the production schedule! No money required at this time. We will contact you for payment within 24 hours.